CARD MRI Information Technology, Inc.
Rose Ann Chavez – Marketing and Acct. Officer MSC class ’10, PC Operation with Office Management. 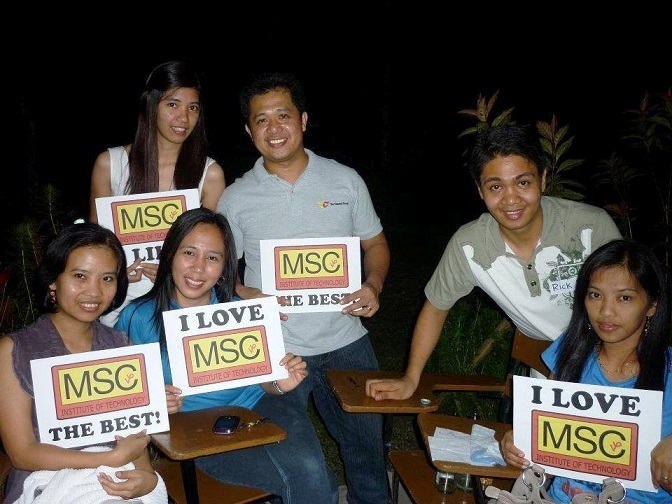 Maribeth Dinglasan – Unit Manager MSC class ’08, PC Operation with Office Mgt. Alvin Alon – Unit Manager MSC class ’08, PC Operation with Office Mgt. CARD MRI Insurance Agency, Inc.
MSC alumni working in CARD. Like many companies in San Pablo, CARD is a regular partner of MSC when it needs personnel to fill up vacant posts whether in IT and other positions. This entry was posted in Alumni, MSC, San Pablo City and tagged Alexzander B. Sanciangco, Alvin Alon, Angelo Dayaon, CARD, CARD INC., CARD MRI Information Technology, CARD MRI Insurance Agency, CARD NGO, Center for Agriculture and Rural Development, CMIT, Dondon Mercado, Edgar V. Cauyan, Filomena Bagsic, Inc., Jerrom Ibardeloza, Lemuel T. Dimaano, Lesther P. Larracas, Louie B. Endozo, Maribeth Dinglasan, Maricar C. Lansang, Roderick G. Mercado, Rose Ann Chavez, Wemelyn C. Madrigal on November 18, 2014 by Jose Adonis Duma.